The Greater Boston League Championship, against local public school programs Somerville, Malden, and Medford. 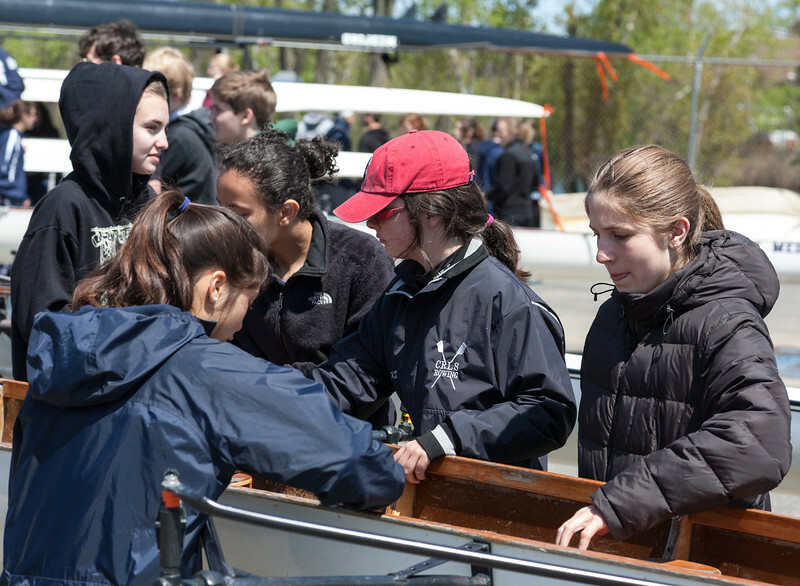 CRLS traditionally does well, and indeed won both Girls' and Boys' championships, as well as most of the individual competitions. Most of the boats raced first in time trials, then in a head-to-head final. And with Fours combining into Eights, many rowers raced four times during the day. With a great learn-to-row turnout this year, the girls actually fielded two novice eights! Boys 2nd V 4: final: not recorded, CRLS ahead 10+ sec.